ST. GEORGE — The Southern Utah Heritage Choir invites the public to join them for a night of music focused on tribute to the savior with sacred hymns and ponder the question, “What kind of legacy will we leave for those who follow,” at a fireside performance on Jan. 25. Local philanthropist, community leader and the wife of the late Dr. Mervyn Cox, Sue Cox will be the featured guest speaker for the evening. Cox, an arts and education advocate, serves on the Tuacahn Executive Committee and is a member of the Dixie State University Advisory Council. Brown said the choir is delighted and honored she will be joining for this month’s fireside. “These beautiful hymns celebrate the legacy of the early pioneers and help us to relate their unflinching courage and commitment to our own lives,” Brown said. 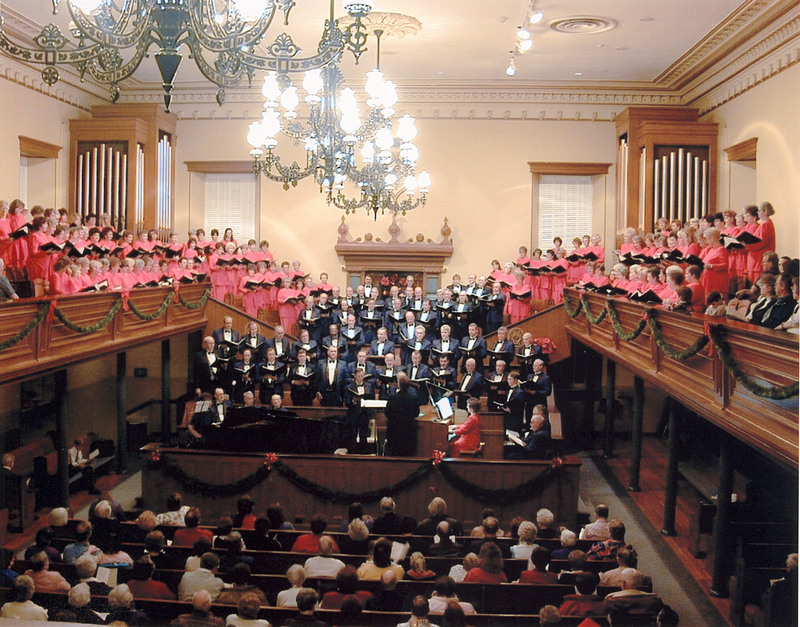 Additional choral pieces will include Newell Dayley’s popular “Faith In Every Footstep,” Laurence Lyon’s poignant rendition of “Consider the Lilies,” Tami Creamer’s choral arrangement of her inspiring children’s hymn, “I Know That My Savior Loves Me” and Craig Courtney’s engaging, “Come Home,” with Karen Lee Kennedy playing the organ. The performance is free and open to the public and will begin at 7 p.m. at the St. George Tabernacle located at 18 S. Main St., St. George. What: Southern Utah Heritage Choir musical fireside featuring Sue Cox. When: Jan. 25, 7 p.m.
Where: St. George Tabernacle, 18 S. Main St., St. George.